A treat to the eyes on the on-looker to the sense of style of the owner; this Pearl Lure Off White Printed Cotton Asymmetrical Designer Long Casual Tunic is a must have. The main fabric of the tunic is off white hued printed cotton with green and black designing. 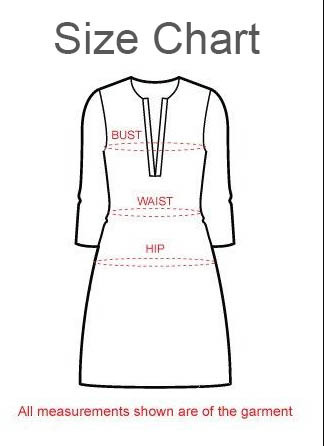 The front open, ban collared style of tunic makes it a comfort wear option. The sleeves are jet black to provide contrast to their printed cuffs. Asymmetrical cut at the base makes it zany.